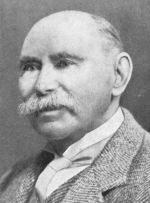 Scríobh Diarmuid Coffey a bheathaisnéis chomh luath le 1917 (Douglas Hyde: an Craoibhín Aoibhinn, 1917; is é teideal an dara heagráin Douglas Hyde: President of Ireland, 1938). B’fhéidir saothar dírbheathaisnéisiúil a thabhairt ar Mise agus an Connradh,  agus ar Mo thurus go hAmerice, 1937. Ar chín lae an Chraoibhín a bhunaigh Dominic P. Daly a leabhar The Young Douglas Hyde: the dawn of the Irish revolution and renaissance 1874–1893, 1974. Tháinig an chéad imleabhar de bheathaisnéis mhór Risteáird Uí Ghlaisne amach i 1991 (Dúbhglas de hÍde 1860–1949: Ceannródaí Cultúrtha 1860–1910) agus an dara himleabhar i 1993, Dúbhglas de hÍde (1860–1949): Náisiúnach neamhspleách 1910–1949. I 1991 d’fhoilsigh Preas Ollscoil ChaliforniaDouglas Hyde: a maker of modern Ireland, le Janet Egleson Dunleavy agus Gareth W. Dunleavy. Sa tsraith Irish Writers ag Bucknell University Press bhí Douglas Hyde, 1974 le Gareth W.Dunleavy. I measc na n-aistí substaintiúla tá: ‘Douglas Hyde, 1860–1949’ le Gerard Murphy in Studies 38, 1949; ba é Denis Gwynn a scríobh an iontráil in Dictionary of National Biography 1941–1950; aiste le Myles Dillon in The Shaping of modern Ireland, 1960 in eagar ag Conor Cruise O’Brien; ‘Hyde in Conflict’ le Earnán de Blaghd in The Gaelic League idea, 1968 in eagar ag Seán Ó Tuama; ‘Douglas Hyde and the Gaelic League’ le Seán Ó Lúing in Studies, 62, 1973: ‘An Craoibhín Aoibhinn agus Conradh na Gaeilge’ in Saoir theangan, 1989 le Seán Ó Lúing. Tá leabharliosta de hÍde curtha ar fáil ag P.S. Ó hÉigeartaigh in Dublin Magazine, Eanáir-Meitheamh 1939, agus ag Dunleavy in Douglas Hyde: a maker of modern Ireland. Baineann Comhdháil an Chraoibhín (1988–) i mBealach an Doirín le gnéithe de shaol agus de shaothar de hÍde agus foilsítear na himeachtaí; Dr Breandán Ó Conaire an t-eagarthóir. Táthar ar aon fhocal faoi gurbh i dTeach an Longfoirt sa Chaisleán Riabhach (paróiste Chill Chaomhín), Co. Ros Comáin, a rugadh é 17 Eanáir 1860. B’in é teach an pharóiste mar a raibh cónaí ar thuismitheoirí a mháthar, Bessie Oldfield (d’éag 1886). Bhí a athair Arthur Hyde (d’éag 1905) ina reachtaire i gCill Mhic Treana ag an am. Bhí beirt bhuachaillí eile sa chlann. Arthur agus Oldfield, agus deirfiúr amháin, Annette. D’aistrigh an chlann go Dún Gar in 1867 nuair a ceapadh an t-athair ina reachtaire ar Thigh Baoithín. A athair féin a chuir oideachas ar Dhubhghlas. Breac-Ghaeltacht ba ea an ceantar agus d’fhoghlaim sé Gaeilge ó chuid de na seanchomharsana. Ó 1874 amach bhíodh cín lae á choinneáil aige agus Gaeilge á scríobh aige ann. Tar éis tamaillín is i nGaeilge ar fad a scríobhadh sé na hiontrálacha. Ba léir tuairim 1875 go raibh spéis aige i seanchas agus i gcumadh véarsaí. Faoi 1877 is náisiúnaí a bhí ann agus scríobh sé caoineadh ar an bhFínín Seán Ó Mathúna. D’fhoghlaim sé buneolas na teanga ó ghraiméar William Neilson in Eanáir 1877 agus cheangail sé le Cumann Buanchoimeádta na Gaeilge an bhliain chéanna sin. Ag pointe ama éigin roimh 1880 bhí glactha aige leis ‘An Craoibhín Aoibhinn’ mar ainm pinn. Fuair sé céim B.A. le honóracha sa nualitríocht ó Choláiste na Tríonóide in 1884, céim sa diagacht an bhliain dár gcionn, agus an LL.D. in 1888. Bhí aiste faoi amhráin neamhfhoilsithe i gcló aige in Dublin University Review, Deireadh Fómhair 1885, agus achainí ar son na Gaeilge san iris chéanna mí Lúnasa 1886. Foilsíodh a chéad leabhar in 1889, Leabhar Sgeulaigheachta. An bhliain dár gcionn toghadh ina bhall den Acadamh Ríoga é, bhí sraith aistí aige i dtaobh ‘Dánta na mBard Connachtach’ in The Nation, agus foilsíodh Beside the Fire. Ghlac sé le post ollaimh in Ollscoil Fredericton i gCeanada an bhliain sin. Litríochtaí an Bhéarla, na Fraincise agus na Gearmáinise a bhí á múineadh aige ar feadh bliana. Thug sé aitheasc tábhachtach i dtaobh na teanga i Nua-Eabhrac 16 Meitheamh 1891. Tháinig Cois na teineadh amach an bhliain chéanna. Toghadh é ina uachtarán ar an National Literary Society in 1892. Ar 28 Bealtaine 1892 chuir sé tús le sraith faoi amhráin ghrá Chúige Chonnacht in Weekly Freeman agus ar 25 Samhain na bliana sin labhair sé le baill an chumainn sin i dtaobh ‘The Necessity for the De-Anglicisation of Ireland’. Bunaíodh Conradh na Gaeilge 31 Iúil 1893 agus toghadh é ina uachtarán 4 Lúnasa. Phós sé Lucy Kurtz, iníon le ceimiceoir taighde a bhí go maith as sa tsaol, i Learpholl 10 Deireadh Fómhair 1893. Bhí beirt iníonacha acu: Nuala (d’éag 30 Meán Fómhair 1916) agus Úna a phós James Sealy. Ba ionann, cuid mhaith, cuntas ar a shaol anuas go 1915 agus stair Chonradh na Gaeilge a insint. Pointí suntasacha i rith na tréimhse sin is ea: an fhianaise a thug sé os comhair an Choimisiúin um Oideachas Meánach in 1899 agus an chaoi ar thug sé ar scoláirí móra na Gaeilge cur in aghaidh fianaise a bhí tugtha ag leithéidí Robert Atkinson: léiriú a dhráma Casadh an tSúgáin 21 Deireadh Fómhair 1901 agus An Tincéar agus an tSióg 19 Bealtaine 1902; a thuras go Meiriceá i 1905–6 nuair a bhailigh sé breis agus £12,400 don Chonradh. Comharthaí ar an mórmheas a bhí air gur thairg John Redmond suíochán parlaiminte dó i 1904, gur bronnadh saoirse Bhaile Átha Cliath air dhá bhliain ina dhiaidh sin agus saoirse Luimnigh i 1909, agus gur cheannaigh a chairde sa Chonradh an teach Ráth Treá le bronnadh air i 1907. Bhí dochtúireacht oinigh faighte aige ó Ollscoil Ríoga na hÉireann i 1906. Ceapadh é ina ollamh le teanga agus le litríocht na Gaeilge i 1909 a luaithe a bunaíodh Ollscoil na hÉireann. Bhí an teannas polaitiúil a thosaigh i 1912 ag cur le deacracht na huachtaránachta i gConradh na Gaeilge agus d’éirigh sé as an bpost ag Ardfheis 1915 tar éis gur glacadh le rún go mbeadh neamhspleáchas polaitiúil mar aidhm feasta ag an eagraíocht. Nuair a tháinig an stát nua ar an saol ghoill sé air nár roghnaigh an rialtas é mar bhall den Seanad. Ansin comhthoghadh é Feabhra 1925. Ach i dtoghchán Mheán Fómhair na bliana sin theip air an suíochán a choimeád. Os a choinne sin tugadh comhartha ardghradaim dó nuair a iarradh air an stáisiún craolacháin a oscailt go hoifigiúil Lá Coille 1926. Bhí sé ar dhuine de bhunaitheoirí an Chumainn le Béaloideas Éireann i 1926, ina eagarthóir ar an iris Lia Fáil, ina bhall de chomhairle an Acadaimh Ríoga ó 1929 amach agus ceapadh é ina uachtarán ar an gComhdháil Cheilteach an bhliain chéanna. Nuair a d’éirigh sé as a phost i gColáiste na hOllscoile, Baile Átha Cliath, i 1932 chuaigh sé chun cónaithe arís i Ráth Treá. Fuair sé dochtúireachtaí oinigh ó Ollscoil na hÉireann (1927) agus ó Choláiste na Tríonóide (1937). Toghadh é d’aonghuth d’Uachtaránacht na hÉireann faoin mBunreacht nua 4 Bealtaine 1938 agus insealbhaíodh é 25 Meitheamh. Ní dheachaigh a bhean chun cónaithe riamh in Áras an Uachtaráin agus d’éag sí i Ráth Treá 31 Nollaig 1938. Tharla stróc dó 12 Aibreán 1940 agus feasta ní raibh lúth na gcos aige. Tháinig deireadh lena théarma uachtaránachta 25 Meitheamh 1945 agus chuaigh sé chun cónaithe i Ráth Treá Beag i bPáirc an Fhionnuisce. D’éag sé 12 Iúil 1949. Adhlacadh é sa reilig sa Phortach Ard i nDún Gar, Co. Ros Comáin. Chomh maith lena shaothar mór i gcúis na teanga bhí sé ina cheannródaí i mbailiú amhrán agus scéalta, agus deir Muiris Ó Droighneáin gurbh é príomhfhile na tréimhse 1882–92 é. Chuaigh a chuid aistriúchán ar amhráin na ndaoine i gcion go mór ar scríbhneoirí Béarla na hÉireann lena linn. Glactar leis freisin gur fearr a chruthaigh sé mar dhrámadóir Gaeilge ná aon duine eile lena linn. Seachas a bhfuil luaite cheana, is iad na leabhair dá chuid is mó a mbíonn trácht orthu: Abhráin Ghrádha Chúige Chonnacht, 1893: A Literary history of Ireland, 1899 (athchló le réamhrá ó Bhrian Ó Cuív 1967); Giolla an Fhiugha agus Eachtra Cloinne Rígh na hIoruaidhe, 1899 (in eagar do Chumann na Scríbheann Gaeilge): Ubhla den Chraoibh, 1900; Abhráin atá leagtha ar an Reachtúire, 1903; Abhráin Diadha Chúige Chonnacht, 1906; Sgéaluidhe fíor na seachtmhaine, 1909; Gabháltas Shéarlais Mhóir, 1917  (in eagar do Chumann na Scríbheann Gaeilge); Sgéalta Thomáis Uí Chathasaigh, 1939 (in eagar do Chumann na Scríbheann Gaeilge). Drámaí a foilsíodh i 1934: Casadh an tSúgáin, An Tinncéir agus an tSídheog, An Naomh ar iarraidh, An Cleamhnas, Pleusgadh na Bulgóide, Teach na mBocht, Rí Séamas, Maistín an Bhéarla, An Pósadh. Foilsíodh dráma eile leis Breith Chríosta i 1935. Bhailigh Breandán Ó Conaire cuid mhaith dá aistí Béarla le chéile in Language, Lore and Lyrics, 1986.